Three children from North America are being invited to Japan, for international friendship matches. The sponsors of the trip are paying all expenses, including airfare, from the west coast of the US to Osaka, Japan. Forty Two children under the age of 13, and at least single digit kyu, are being invited from nine countries: Japan, China, Korea, Germany, Russia, Mexico, Thailand, Canada, and the US. The kids will stay at the Maisima Lodge, in Osaka Bay, and will have opportunities for cultural exchanges as well as for playing go. The AGA will select three kids, two from the US and one from Canada, based on participation points earned from attending various AGA events. The matches will be held July 20th-23rd, and AGA Youth Coordinator Paul Barchilon will lead the team. All expenses are paid for the kids, but parents who wish to come will need to pay their own travel and lodging expenses. If you are interested in attending, please fill out the form here. Any questions should be addressed to youth@usgo.org. -Paul Barchilon, E-J Youth Editor. Photo: Participants at last year’s Life International Go Meeting. The event is sponsored by Life Sports Foundation, and NPO Life Kids Go Club, with the cooperation of the Nihon Ki-in and the Kansai Ki-in. In response to recent requests by some tournament directors and local organizers, the E-Journal is expanding its weekly go event calendar to include events two weeks ahead. The weekly listings already include a link to the online calendar of events (click here to make sure your event is listed), enabling those interested to easily see what’s coming up. The E-Journal also routinely promotes major events — such as the May 23-24 Maryland Open or US Go Congress August 1-9 — farther ahead of time, especially when early registration is required, and will continue to do so. Another key to effective promotion is making sure that as many local go players as possible are E-Journal subscribers, either as AGA members or non-members. Please encourage go players you know to either join here or sign up for the non-member EJ here. 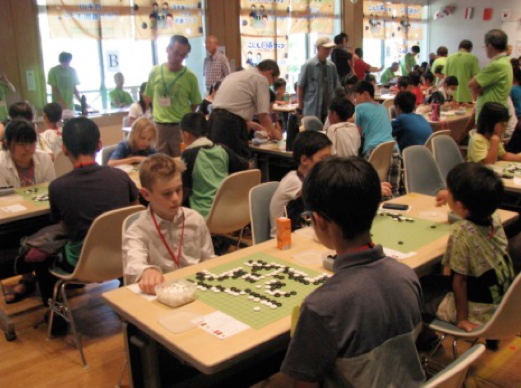 Ejournal to cover Globis Cup: The Nihon Ki-in has invited the E-Journal to cover the 2nd Globis Cup, so I will be presenting detailed reports this week on this new international tournament for young players. Below is a preview. The Globis Cup was founded last year. The official name is the Globis Cup World Igo U-20. It is organized by the Nihon Ki-in and the main sponsor is the Globis Corporation, with Otsuka Pharmaceuticals and Kitami Hakka Tsusho Inc. act ing as supporting sponsors. 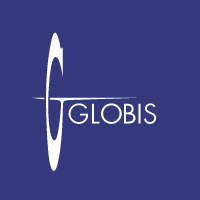 Globis is a venture-capital company that also provides educational services in business and management. The venue of the tournament is a university run by the company, the Graduate School of Management, Globis University. The co-sponsor Kitami Hakka Tsusho specializes in peppermint products of various kinds (food, cosmetics, etc.). It is based in the city of Kitami in northeastern Hokkaido. Details of the first tournament were given in my report in mid-May last year. To recap, it was a triumph for Japan, with Ichiriki Ryo 7P beating Kyo Kagen 2P, a Taiwanese member of the Nihon Ki-in, in the final. The top prizes are 3 million yen (nearly $30,000), 500,000 yen, and 200,000 yen. Participants this year have to be under 20 as of January 1, 2015. As the host country, Japan has six of the sixteen places. Japan: Ichiriki Ryo 7P (seeded), Yo Seiki 7P, Motoki Katsuya 3P, Fujimura Yosuke 2P, Sada Atsushi 2P, and Koyama Kuya 2P. China: Yang Dingxin 3P, Guang Yunsong 3P, and Li Qincheng 2P. Korea: Na Hyeon 6P, Yi Dong-hyun 5P, and Shin Jin-so 3P. eliminated. In the early rounds, players from the same country won’t be paired against each other. Players to watch: The favorites for Japan are Ichiriki and Yo, but the overall favorite is probably Na Hyeon, who has already been a presence in international tournaments for a couple of years. 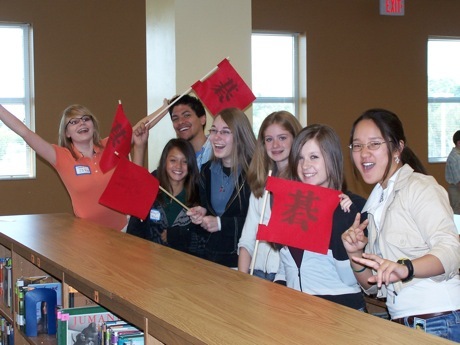 The American Go Foundation (AGF) is offering $200 youth scholarships to this year’s US Go Congress. Interested youth must write an essay on why they want to go; the application deadline is May 30th. Twenty-five scholarships are available, and up to 15 awardees will be selected by June 1. Five scholarships are available to residents of Canada or Mexico. Applications received after May 30th will be placed in a lottery with the remaining scholarships awarded at random from qualifying essays. The scholarships are available for US youth who are under 18. For more information, and to apply, click here. - Story and photo by Paul Barchilon, E-J Youth Editor. Photo: Youth Adult Pair Go is one of the many activities in the Youth Room at Congress. There is still time to apply for the American Go Foundation’s Teacher of the Year award. Presented each year at the U.S. Go Congress, the award recognizes an outstanding American teacher. The winner will receive an all expenses paid trip to the US Go Congress. 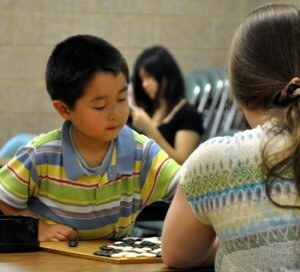 To be eligible, a teacher must be a member of the AGA, have been teaching go to children for at least two hours a week (during the school year) for two years, have started a go club or organization for youth, and have helped their students enter appropriate tournaments, if possible. If you would like to nominate someone for this award, including yourself, e-mail mail@agfgo.org. Nominations are due by May 15th and should include a description of the teacher’s activities, how long they have been teaching, and how many students attend their program. - Paul Barchilon, E-J Youth Editor. Photo: Go Cheerleaders, from Joshua Frye’s middle school in Florida. Frye was Teacher of the Year in 2009. On May 2nd, the Austin Go Club held it’s ” ‘May’ you win ” tournament. 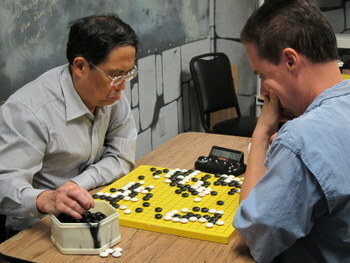 Sixteen players participated and were observed by Yi Kou, a former pro from China currently living in Austin, who provided post game discussions. Two players shared top honors with 4-0 records. They were Banwan Lee 4k and Kelly Braun 9k). Four other players recording 3-1 records were Andy Olsen 3D, Lei Xu 3k, Nathan Hess 14k and Ray Heitmann 5k. Awards included gift certificates from Great Hall Games, a local game store stocking a variety of go books and equipment and which hosts the Austin Go Club. Also, Clay Smith generously contributed several items including boards, stones and artwork that were awarded to the winning players. Otake awarded decoration: The go world has been honored with the award of a decoration in the spring honors list to Otake Hideo 9P. The decoration is the Order of the Rising Sun, Gold Rays with Neck Ribbon. (that’s the Wikipedia translation; the Japanese name is just five characters and reads kyokujitsu-chuu-jushou.) Otake is the 23rd go player to be honored (it’s actually his second decoration). His award, which is the sixth-highest, is the same one given to Takagawa Shukaku, Go Seigen, and Fujisawa Shuko. 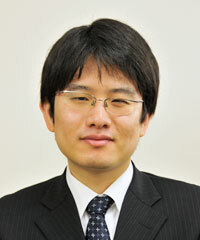 Besides winning 48 titles, including four Meijin titles and the Fujitsu Cup, Otake served as chairman of the board of directors of the Nihon Ki-in from December 2008 to June 2012. He is now a counselor to the Nihon Ki-in. Yamashita reaches Gosei final: Although his recent Kisei challenge faltered at the final hurdle, Yamashita (left) is making his presence felt on the tournament scene this year. 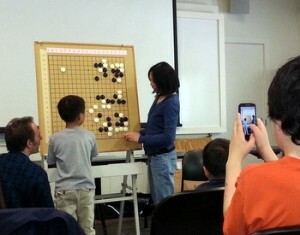 In the semifinal of the 40th Gosei tournament, held on April 30, Yamashita (W) beat Murakawa Daisuke Oza by resignation. His opponent in the play-off to decide the challenger to Iyama Yuta will be the winner of the semifinal between Kono Rin 9P and Shida Tatsuya 7P. If Yamashita becomes the challenger the start of the match might overlap his Honinbo title match with Iyama. Correction: I jumped to a wrong conclusion about Iyama Yuta in the Judan article in my previous report. He never held the record for fastest to win a top-seven title. Before Ida’s six years, the record was held by Ryu Shikun 9P, who won the Tengen title after six years eight months as a pro. Yamashita is third, winning the Gosei after seven years four months, and Iyama (seven years six months) is fourth. Rounding out the top five is Ishida Yoshio, who won the Honinbo title after eight years two months. Online registration is now open for the 42nd Maryland Open, scheduled for May 23-24 in Catonsville, Maryland. One of the biggest East Coast tournaments, it will be held at “the same great location, the Catonsville Senior Center,” reports organizer Keith Arnold. Click here to register. Nearly two dozen players ranging in age from single digits to the 70′s attended Jennie Shen’s weekend workshop in Portland, OR the weekend of April 18-19, including four children, a high schooler, three college students, and Haskell Small all the way from Washington, DC. Small, who organized the first US Go Congress, was in town for the opening performance of one of his compositions in Portland. Thanks to Bill Corry, food, Glen Peters, equipment beast of burden, Peter Drake for hosting us at Lewis and Clark College, and most of all, Jennie Shen our excellent teacher and good friend. The three American Go Association (AGA) regional Board of Director seats are up for election this year. The current terms of office expire this September. Nominations, including self-nominations may be made by full members for the region in which the member resides and must be received by June 15, 2015. Nominations and questions must be emailed to elections@usgo.org. Click here for complete election information and qualifications.